10.3mm x 19.11mm / 0.406in. x 0.752in. Rake and Shovel Charm by Rembrandt Charms. The height is 3/4 of an inch. 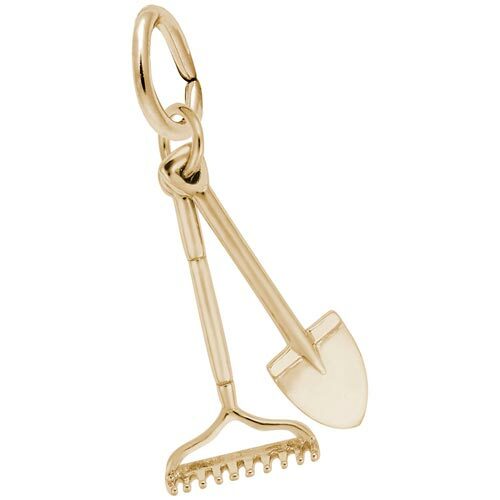 Dig and claw your way to spring with this Rake and Shovel Charm. Keep your love of gardening close to you all year round. The garden jewelry piece can be placed on a necklace as a pendant or will be a wonderful addition as a charm for a Charm Bracelet. All Rembrandt Charms are available in either silver or gold.